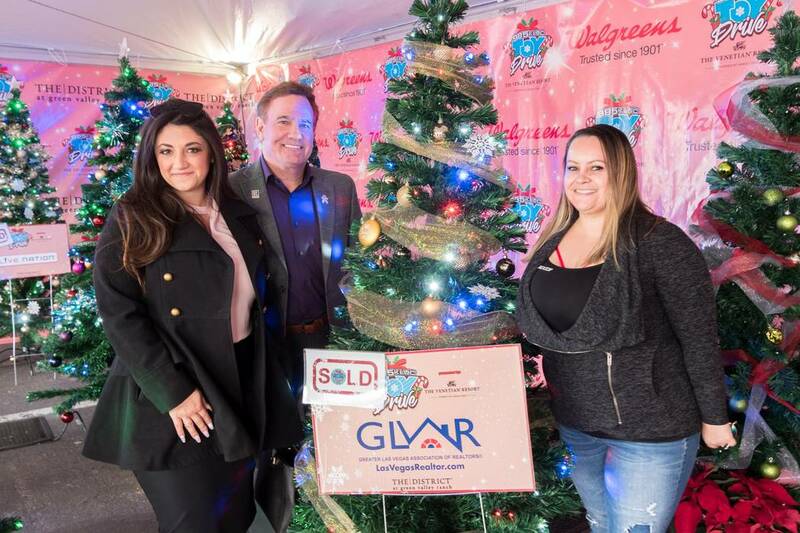 As he wraps up his year as president of the Greater Las Vegas Association of Realtors, longtime local Realtor Chris Bishop said one of his greatest sources of pride is how GLVAR members continue to contribute to good causes. For example, he said GLVAR just sponsored the 20th annual 98.5 KLUC Chet Buchanan Show Toy Drive, helping to make sure children in need are taken care of this Christmas. GLVAR donated $5,000 and was represented at a kickoff event at the NV Energy headquarters on Nov. 29, when KLUC’s Chet Buchanan ascended a 30-foot scaffold, where he stayed until Dec. 10 to raise awareness and hundreds of thousands of dollars for this cause. “We encouraged all members of the association and the public to join us in donating new and unwrapped children’s toys and bikes, as well as cash and gift cards, to support the local radio station’s annual efforts to give local children in need a happier holiday season,” Bishop explained. Last year, the 98.5 KLUC Chet Buchanan Show Toy Drive collected a total of 8,109 bikes, 32 trucks full of toys and $455,550 in cash and gift cards. Organizers were hoping to exceed that total this year. KLUC partners with local nonprofit Help of Southern Nevada to coordinate and distribute the donations. 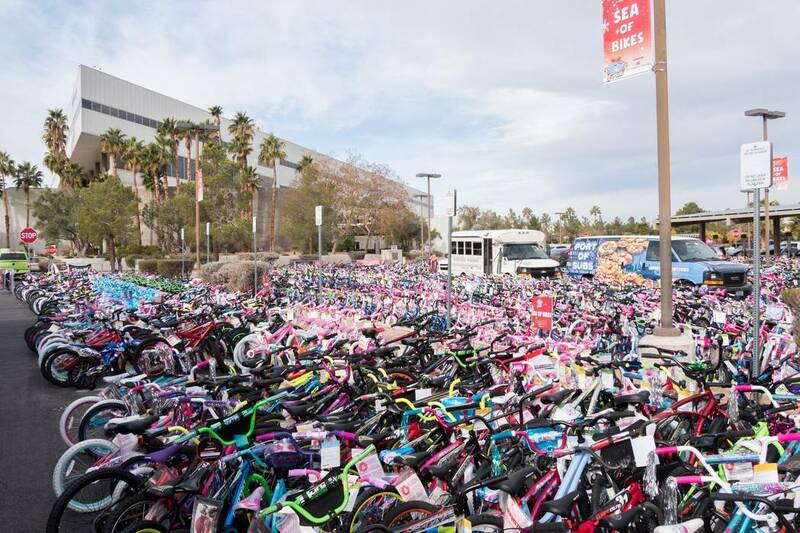 In addition to serving thousands of its own clients, Help of Southern Nevada distributes toys and bikes to many other local charities that serve families in need. Last year, toy drive organizers said nearly 70 charities and local families they serve benefited from the toy drive and Help of Southern Nevada. Bishop said the toy drive is just one of many examples of how GLVAR and its members give back to their community every day. GLVAR members also donated and delivered hundreds of backpacks this year to local children served by the Boys &Girls Clubs. Beyond that, he said GLVAR members donate their own time and talents to countless local causes. “It’s a rare charity that doesn’t have at least one local Realtor on its board or among its volunteers,” Bishop said. He’s confident this tradition of community service will only continue to grow under the guidance of 2019 GLVAR President Janet Carpenter, who takes the reins of Southern Nevada’s largest trade association starting Jan. 1.